Many people believe that commercial organizations have a responsibility to lead the way to change. Some of the biggest companies out there – the Walmarts and the Targets, for example – are heeding business consulting wisdom, and jumping on the sustainability bandwagon. And while it can sometimes seem like the decision to go green is little more than the latest business fad, the reality is that many commercial leaders are recognizing the benefits associated with pushing toward more environmentally and socially aware business processes. If you’re not really clear on what’s involved in going green, consider reaching out to a qualified small business consultant or accountant for advice, and read on to learn about some of the key advantages of greening your business. When it comes to putting the green back in greenback, there’s no better place to start than by reducing your company’s energy consumption. Simple measures like turning off lights and computers when they’re not in use can lower your utility bills. Meanwhile, smart equipment purchases and practices - like refilling printer cartridges, and opting for a hybrid company car - will streamline your budget for everything from office supplies, to vehicle expenses. Whether you own your own building, or are simply renting space, taking advantage of the many tools and resources offered by established efficiency initiatives like ENERGY STAR can improve your company’s financial performance, while reducing your impact on the environment. Working in tandem with cost-cutting initiatives are the host of government incentives that are available to the small business that chooses the greener path to success. These incentives run the full range from tax credits to government loans and grants, and often exist at both the state and federal levels. Among the many financial resources available to business owners are funds for upgrading the energy efficiency of operating facilities, and financing for innovative environmental technologies and products. Even if your business isn’t in the position to take advantage of government-sponsored programs for adopting renewable energy sources like wind and solar power, something as doable as choosing a hybrid-fueled automobile for your next company vehicle can lead to significant tax savings. For the most up-to-date information about how government incentives can benefit your bottom line, be sure to consult with a professional small business bookkeeper or accountant. Today’s customer is alert to both the state of the planet, and the need to become more environmentally conscious. The demand for greener products and services is growing, and research suggests that as many as 80% of consumers are taking a company’s “environmental and social commitment” into account, before buying from them. The market share for businesses involved in sustainable practices - and the promotion of greener products or services - is continuing to expand across many industries. Engaging a business consulting firm that has their finger on the pulse of today’s environmentally-driven landscape, can pay dividends in ensuring you capture your share of the market. As an extension of giving your green-minded customers what they want, a sustainability program can significantly improve your company’s reputation and overall brand image. Marketing campaigns automatically benefit from the chance to emphasize your business’s environmental commitment - whether it stems from implementing less impactful production processes, or increasing the use of recycled paper in the office. Becoming a part of the solution, rather than remaining solely a part of the problem, helps everyone. And it can go a long way toward advancing your firm’s customer relations, entrenching brand loyalty, and generating a greater level of income. 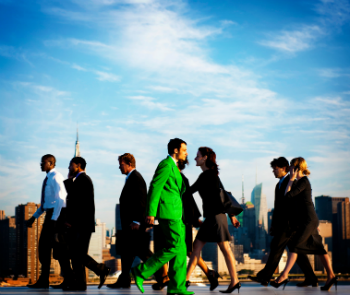 Going green can make for a healthier workplace on multiple fronts. A professional small business consultant may suggest initiatives like offering more organic food choices in the cafeteria - or switching to naturally-sourced, environmentally friendly cleaning products - to promote the physical well-being of personnel. After all, choices like these not only benefit the planet, but fewer sick days means reduced medical benefit costs and a higher level of productivity. Beyond this, 96% of surveyed employees feel their company’s sustainability efforts have a positive impact on their relationship with their employer. In fact, one UCLA-led study went so far as to suggest that companies that adopt green practices and operational standards not only benefit from making good environmental choices, they’re also rewarded with more motivated employees who are 16% more productive on average. Talk with a professional who can guide you through the benefits of a healthier and greener work environment for your small business.